For better or worse, Netflix is becoming a major player in the film industry. While no one would argue that the best place to see a movie is at the cinema, filmmakers are increasingly drawn to the freedom (and funding) that this streaming service can provide. In addition, many directors argue that their films will be seen by a much wider audience if they are released on Netflix. However, Netflix does not engage in traditional film marketing activities for its Original Films. Sadly, this can often lead to some high quality, must see movies becoming lost in the crowd. This is where film writers can provide real value. I keep a close eye on Netflix Original Film releases and make them a priority watch. I can then champion the films I love. 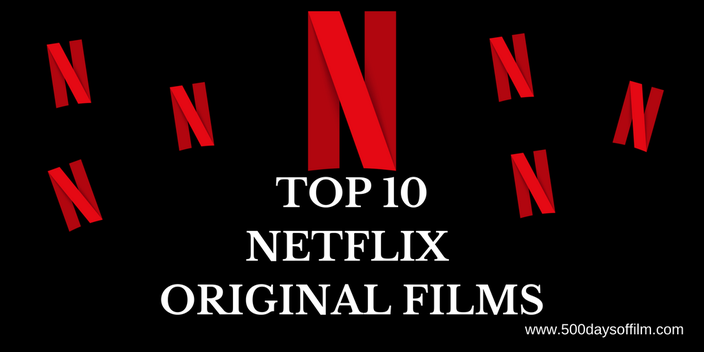 With that in mind, here are ten of the best Netflix Original Films (in no particular order) that really deserve to be seen. Ava DuVernay’s documentary, 13th, starts by addressing a truly stunning statistic. The US - often called the land of the free - has the highest incarceration rate in the world. Even more shocking is the fact that one in three black males in America will go to prison at some point during their lives. That's compared to one in 17 white men. DuVernay’s film examines what lies behind this discrepancy. A number of fascinating, eloquent and informative experts and academics explain why, after years of fighting for freedom and equality, black communities are still waiting for meaningful change. Macon Blair’s directorial debut, I Don’t Feel At Home In This World Anymore, starts with the sadly familiar sense that today’s world is full of ignorant, selfish people. People who pollute, people who walk away from their messes, people who spoil the enjoyment of (and could not care less about) others. It is, therefore, easy to feel sympathy for Ruth (brilliantly played by Melanie Lynskey). Who could blame her for wanting some element of justice? However, as understandable as the ensuing vigilante actions are, they threaten to land Ruth and her side-kick Tony (Elijah Wood) in real danger. Blair mixes unsettling tension and brutal violence with wonderful moments of dark comedy. At times the film feels Tarantino-esque in its tone (admittedly on a smaller in scale). It also brings the films of Blair’s friend, Jeremy Saulnier, to mind (I’m thinking of Blue Ruin). However, I Don’t Feel At Home In This World Anymore is more than able to stand on its own - a remarkable debut. Dounia and her best friend, Maimouna, dream of becoming millionaires. However, life in a Parisian ghetto offers the feisty pair few opportunities and little hope for the future. One of their only pleasures comes from sneaking into a nearby theatre and secretly watching the dancers rehearse. One dancer in particular, a young man called Djigui, catches Dounia’s eye and offers the possibility of a life-changing love. Tragically, desperate for change and seduced by money, Dounia decides to follow in the footsteps of local drug dealer Rebecca - with devastating results. When civil war tears his family apart, a young West African boy called Agu (the brilliant Abraham Attah) is left alone in a dangerous land. He stumbles upon and is then forced to join a unit of mercenary fighters. This group is led by a ruthless commandant (superbly portrayed by Idris Elba). The unit trains Agu and transforms him into a child soldier. Beasts Of No Nation is a stunning and thought provoking movie. It is also an extremely tough watch. However, cinema is not all about kittens and unicorns. Besides simple entertainment, the film industry has a crucial role to play in highlighting the world’s more disturbing issues - and boy is this one of them. Amid the daily devastation of airstrikes on civilian targets in Syria, a group of brave and resilient first responders called The White Helmets risk their lives to rescue victims from the rubble. Orlando von Einsidel’s Oscar winning documentary short follows a group of these White Helmets - introducing us to several real life heroes who choose to save lives rather than take them. While the film does feature many shocking and devastating moments, ultimately this is an inspirational human story - a tale of hope. Remarkable, unbelievable, incredible hope. In this warmly comic faux-documentary from director, Christopher Guest, eager contestants don gigantic heads and wear the fluffiest of suits to compete for the title of the World's Best Mascot. Mascots features some truly wonderful comic performances. Jane Lynch is brilliant as judge Gabby Monkhouse, Parker Posey is superb as armadillo mascot, Cindi Babineaux, and Chris O'Dowd is hilarious as Tommy 'Zook' Zucarello. Special mention must also go to Christopher Moynihan's Phil Mayhew - his final performance is comedy gold. However, just as he did in Love & Friendship, Tom Bennett steals the show as Owen Golly, Jnr. He is absolutely hilarious as Sid the hedgehog. While searching for her ex-boyfriend, Nico, in New York, homeless young drifter Tallulah (Ellen Page) kidnaps a baby from neglectful mother, Carolyn (Tammy Blanchard). As the impact of her impulsive action sinks in, Tallulah seeks refuge with Nico’s mother, Margo (Allison Janney), and pretends that the child is her own. Tallulah is the debut feature from Orange Is The New Black writer, Sian Heder. Featuring three powerful performances, the film is hugely enjoyable, with many moments of poignant comedy. Danny (Callum Turner) and Ellie (Grace Van Patten) find themselves thrown together after a shady bag swap goes awry. As they attempt to locate their missing luggage, the young couple start to feel a powerful attraction. The bag swap gone wrong is, of course, a familiar device in cinema’s crime genre. Thankfully, the shady deal in Tramps is the least interesting part of Adam Leon’s movie. Its function is to bring (and keep) Danny and Ellie together, thus allowing the film to explore the growing and utterly charming romance between the young couple. We still do not know (and will probably never know) who killed JonBenet Ramsay. This, of course, has not dampened the rampant speculation about the case and it is this that most fascinates director, Kitty Green. In this fascinating Netflix Original documentary, local actors from JonBenet Ramsey’s hometown of Boulder, Colorado offer their views and opinions about her murder as they audition for roles in a dramatization of the case. The Little Prince is a lovely Netflix Original Film based on the classic book (of the same name) by French writer, Antoine De Saint-Exupery. The source text is often called a children’s book for grown ups. It has sold hundreds of millions of copies since it was first published in 1943. Under the pressure of such expectation, director Mark Osborne has made a wonderful film. A film that is entertaining, fun and full of wisdom about love, loss and what truly matters in life. What do you think of this list? Are there any films that you would add? Let me know in the comments section below or via Twitter or Facebook! Thanks for these recommendations. I loved What Happened Miss Simone but haven't seen the others. Adding them to my list right now! Cool. Can't wait to see what you think!